Two years ago, I tried growing brussel sprouts in my garden. I didn't have much success, but I didn't really know what they should look like or how they grow so I'll cut myself a little slack. 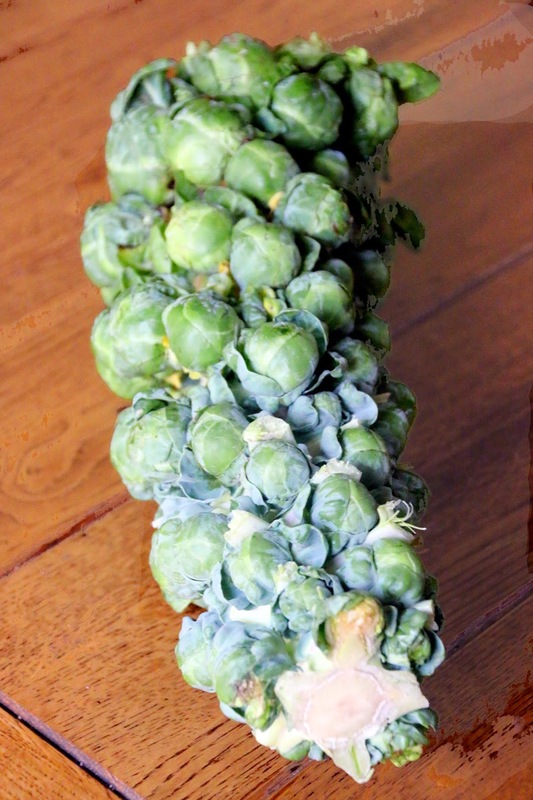 Last year, when I was working at the CSA farm, I was pleased to finally see brussel sprouts in their full glory on the stem. They are beautiful, really tall stalks with little sprouts popping off the stem! It looks like a hundred little cabbage heads on every stalk! What's even better though then finally knowing what they look like in the garden is eating fresh seasonal brussel sprouts. I love roasting them, although steamed and smothered in butter is a close second! 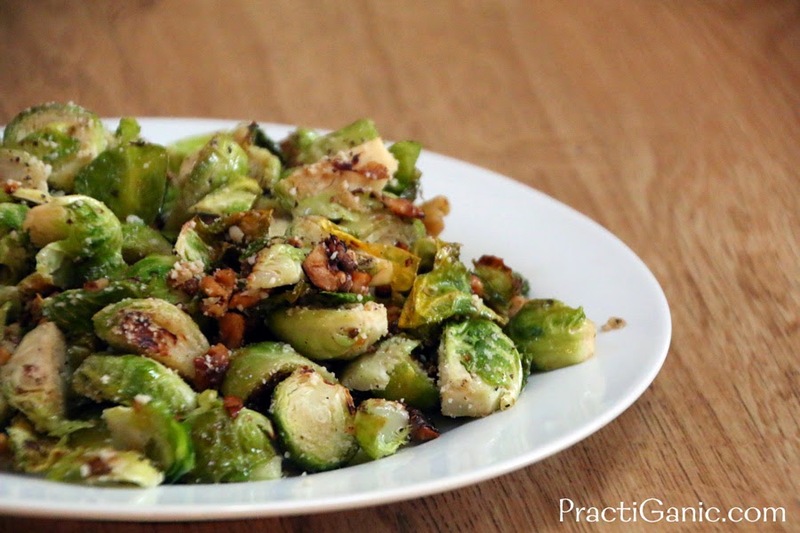 Many people like their brussel sprouts with bacon. I think this is because they can be a little dry and they need some fat and that's why I pair them with nuts and cheese. Then, I add a little lemon to brighten every bite! Happy summer! I didn't think the kids would eat them, so I didn't even bother to put them on their plate. Of course, this made them extra curious and in need of them. Gabe ate almost everything on Paul's plate and then yelled out, "Mmmm mmmm, I love brussel sprouts!" Where was my tape recorder?! 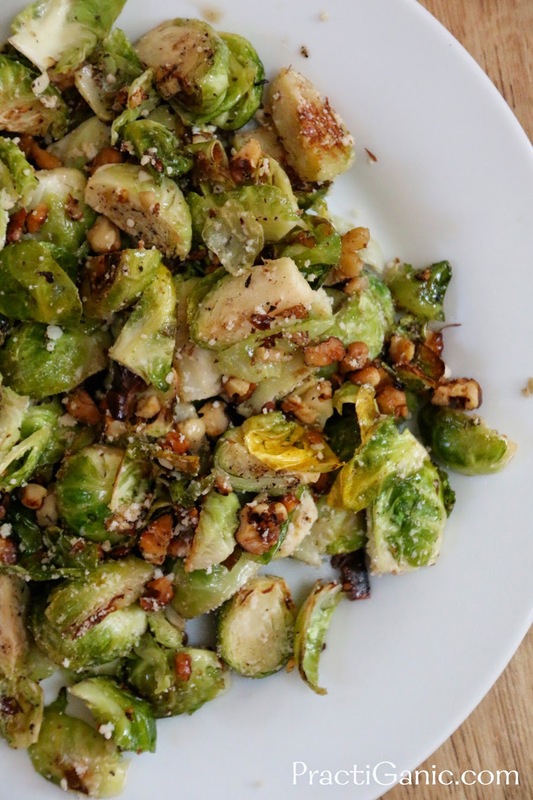 Cut the bottoms off of your brussel sprouts and half them. If some are really big, cut them in quarters so all of them are about the same size. 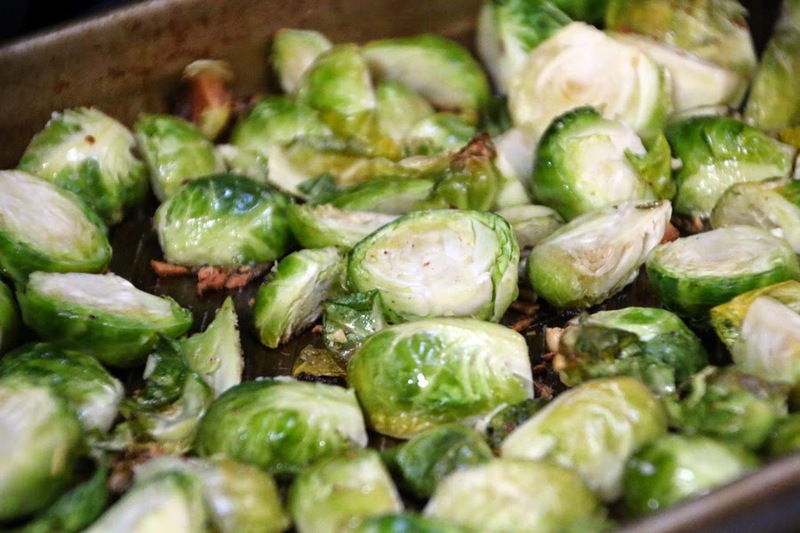 In a bowl, mix them with olive oil, garlic, salt and pepper. Bake at 375º for 20 minutes. When they are still hot, mix them with the lemon juice, walnuts and parmesan cheese. Serve immediately ... they cool quickly.